Cream of tartar is an acid that comes from grapes as a byproduct of wine-making. It is commonly used for baking, particularly to create meringues or in cookies, and you can use it to make homemade play-dough. However, cream of tartar is also useful as a scrubbing agent for cleaning burned-on messes in your aluminum, brass or copper pots and pans. Its acid content and smooth, powdery texture combine to cut through cooked-on messes without the need for expensive, and sometimes dangerous, chemicals. 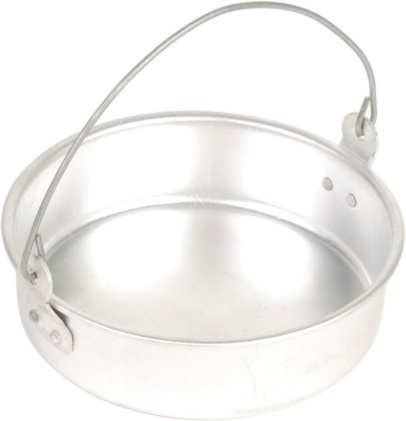 If you burned a pan while cooking, cream of tartar is an economical way to scrub it clean. Pour 2 tbsp. of cream of tartar onto the burnt pot or pan. Pour 1 tbsp. of vinegar or lemon juice over the cream of tartar. Mix the liquid and cream of tartar together to make a paste, adding more liquid as necessary. 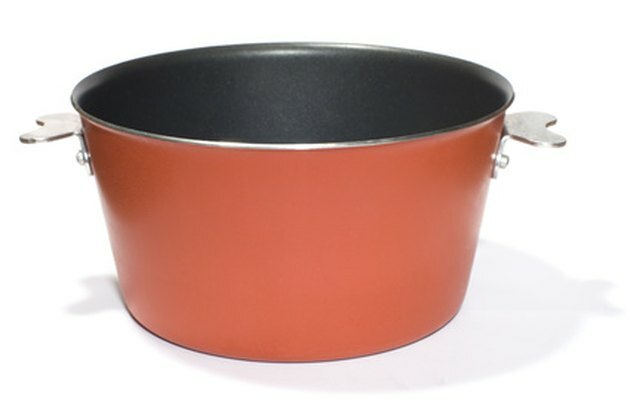 Scrub the bottom of your pan with a scrubbing sponge or dishcloth and cream of tartar paste to remove the mess. Rinse with hot water. Pour 2 tbsp. of cream of tartar into the bottom of the pan if the mess still remains. Add 1/2 cup of vinegar or lemon juice and 1 quart of water to cream of tartar. Put the pot or pan with cream of tartar mixture onto the stove and turn heat to high until the mixture boils. Boil the cream of tartar mixture in the pan for 10 minutes. Cool the cream of tartar mixture and the pan, and scrub the bottom until the mess is removed. Repeat as necessary. Ashley Garay began writing professionally in 2010. Her areas of expertise include parenting, homeschooling, and natural living. She holds a Bachelor of Arts in literature and Spanish from West Chester University. Garay's writing research covers many eclectic topics, helping her become a force to be reckoned with at trivia night.